If your financial system is getting too much time and energy of your accounting and finance team then it’s the time to think about upgrading new technology. This will surely give a better result with reduced cost. 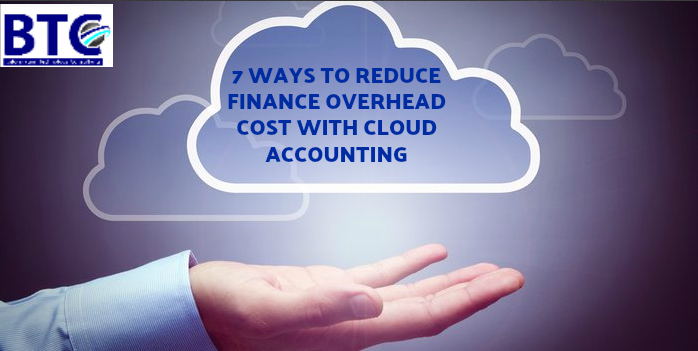 Here you can find the ways in which cloud accounting can reduce the financial system cost, and expenses. Role of CFOs and other finance team is strategic and doing the complex task which involves complex cost structure. According to a study of cloud accounting by Vital Analysis, on average eight to ten percent of the financial accounting software market turns over annually. It means that businesses today require new innovations rapidly which demands more cost also. To simplify these issue, we need to automate business processes and cut down the manual system as much as we can to bring cost effectiveness and reduce time and cost to become more competitive. Entering data one time without duplicate entries lessen the chances of error and bring accuracy. Removing error multiple times increases time and cost. Cloud accounting system Dubai contains built in control to prevent duplication and errors. Small and mid-sized businesses financial department are always in a struggle to come up with something easy and flexible, as they are facing a lot of complex strategies. So when we talk about managing software integration cloud accounting is best in a way that it is simple and users’ friendly. With cloud accounting your team is hassle free to perform the work of run software patches, dealing with troubleshoots. The work of upgrading and running your system with bug free is now the responsibility of cloud accounting technology vendor. In this way, they can focus on another important task which ultimately reduces your overall cost. With cloud based accounting system you do not need to install the program on every single computer, but users can access your tools from the web, in this way you do not have to purchase a license to install the program on your computer. Moreover, the data will be stored and processed in the vendor’s virtual server. The financial department has almost everything that needs to be secure as many are confidential and complex, once lost or leaked the team would be in great trouble. Cloud based accounting system provides a great measure to do this task in which a third part company is incapable to do that with such efficiency and effectiveness. This feature of cloud computing helps you to do everything on a computer without taking help of other company and thus, saves your cost. Get more insights of Cloud Accounting Software In UAE by getting in touch with us.